Image: Royal Liverpool University Hospital, PA Images/Peter Byrne, all rights reserved. RightCare is an NHS England system for encouraging CCGs to compare themselves with other CCGs, with the declared aims of improving performance and reducing costs. When Accountable Care Systems were rebranded as “Integrated Care Systems” in the latest Planning Guidance, NHSE also promoted RightCare. 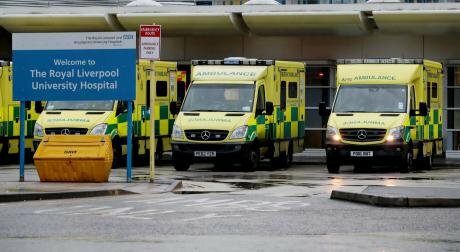 “Refreshing NHS plans for 2018/19”, which says “In addition to the moderation of emergency demand, the use of RightCare, elective care redesign, urgent and emergency care reform, medicines optimisation, and more integrated primary and community services are also key areas of focus”. Liverpool CCG’s plan for an Integrated Care System was presented on 13 March. It is a 60 page paper “One Liverpool: 2018-2021” written by Healthy Liverpool Integrated Programme Director Carole Hill, with Liverpool CCG Chief Officer Jan Ledward as the Lead Governor. A section on High Impact Priorities waxes lyrical on RightCare. “In support of the work by the Provider Alliance to develop detailed delivery plans, Liverpool CCG has undertaken a review of clinical and non-clinical interventions that have the capacity to deliver high impact change to achieve our outcome ambitions. The review incorporated the Commissioning for Value approach which is embedded in NHS RightCare, the NHS England programme committed to delivering the best care, making the NHS’s money go as far as possible and improving patient outcomes. Local RightCare data shines a light on variation and performance and supports local health economies to have discussions to agree a starting point for change. NHS RightCare has a three stage, evidence-based methodology, of ‘Where to look’, ‘What to change’ and ‘How to change’ which provides a robust process for service redesign and prioritisation. Describing itself as “a proven approach that delivers better patient outcomes and frees up funds for further innovation”, RightCare turns out to be unproven and based on faulty statistics (Questioning the magical thinking of NHS RightCare). Apparently Liverpool should compare itself with Brighton, Bristol, Sheffield, Newcastle, and Stoke and then save 80 lives per year from lung cancer mortality. Public Health academic Dr Alex Scott-Samuel sent the CCG an FOI request to find out if they’d heard criticism of RightCare. 1) Was Liverpool CCG aware of the Journal of Public Health article "RightCare: wrong answers", published 3 Nov 2017, when formulating the "One Liverpool" strategy? 2) In formulating the "One Liverpool" strategy, how did Liverpool CCG take account of this peer-reviewed criticism of the RightCare methodology? 3) Which other specific aspects of Liverpool CCG's work involve RightCare? 4) How does Liverpool CCG intend to respond to this peer-reviewed criticism of the RightCare methodology in future? Why not ask your CCG about the RightCare magic? Do their Integrated Care plans show the same unbridled enthusiasm for RightCare as “One Liverpool”, or do they take a more sober view?